2017 has been a pretty stacked year when it comes to video games. At the same time, many figured that Mario Odyssey would win the title of Game of the Year, or perhaps Sonic Forces would get to claim it. I wrote an editorial a while back about how Sonic Forces would certainly claim victory. Here’s a link to that original article if you’re curious. Unfortunately, I hadn’t expected the game to get skimmed down all the way to 3 hours. It’s just too short to really compete with Odyssey but let’s break this down. When it comes to the story, Sonic still destroys Mario. We have an end of the world plot going with a hype new villain called Infinite. 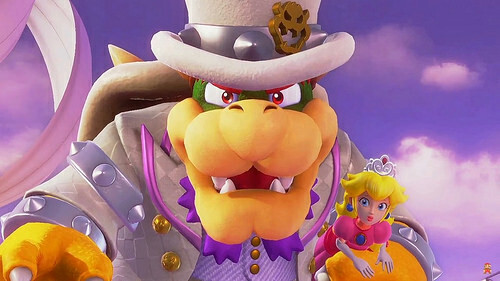 In comparison, Mario has the same ole Bowser kidnaps Peach plot which is neither fresh nor imaginative. It’s a plot that we have all seen many times before to the point where it is fairly stale. It’s just not the kind of story that excites you anymore and the game even pulls a cop out for the ending to keep the status quo. In this area at least, Sonic Forces stil claims the win. Now let’s look at the graphics. Well, this one is a pretty close one. Both games look pretty solid. Mario is top of the line for Nintendo and they spared no expense for him. On the other hand, Sonic Forces doesn’t look quite as good as it should considering that it’s on the PS4 but it does have a nice advantage of being on the stronger console from the start. It also has more explosions and better level designs to really use the graphics. 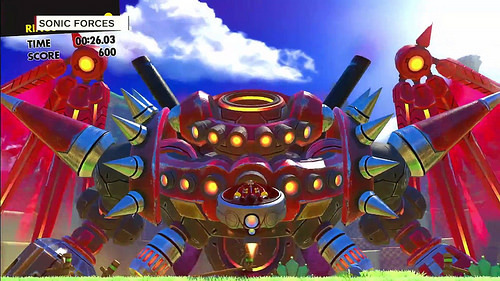 Odyssey does look a little better on the whole, Sonic Forces is just more striking to look at. This is purely for graphics though so Odyssey wins here. 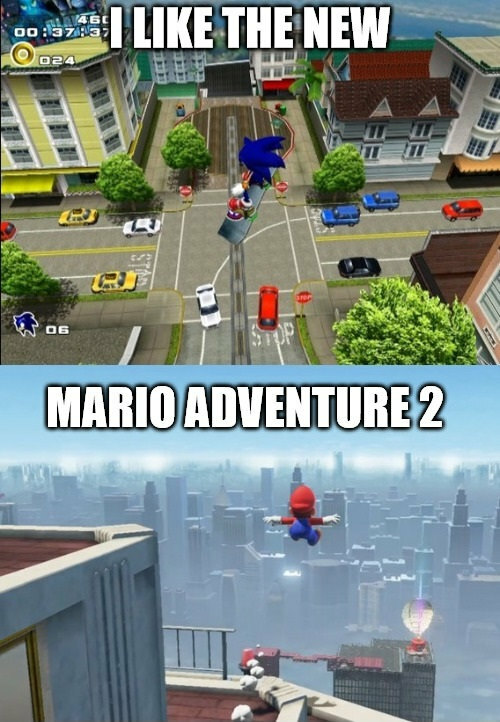 When it comes to gameplay, Sonic has 3 different styles while Mario has just one. Mario’s does beat retro Sonic’s gameplay style but loses to the Avatar and Modern Sonic. You just can’t beat Boost 2 Win and It would have been cool for Mario to have been able to do that when running around the worlds. It’s pretty close though and the difference is relative since both games have really solid gameplay. Now at this point it probably seems like Sonic is demolishing Mario so what’s the problem right? Well, one of the big areas that hurts Sonic is the length/replay value. The main story will only take you 3 hours in Forces. After that you need to get all of the S Ranks and obtain all of the rings. This will buy you some time, but not a whole lot. Moreover, thanks to the daily login bonus, getting S Ranks is really easy in this game. You can definitely 100% this game in a week if you don’t mind some grinding for the enemies and coins. On the other hand, Mario’s main campaign is at least double of not triple as long. Grabbing all of the moons in the post game and completing the new worlds will take quite a few more hours as well. You’re likely looking at a 20-30+ hour game right there. It’s a world of difference and this is crucial for a game. You don’t want to drop 40-60 dollars on a game that you will play and then immediately throw back in the drawer. You want a game with a lot of replay value and that’s exactly what Odyssey is. It’s the game that keeps on giving. The sheer amount of content and minigames in Odyssey puts Forces to shame. You can’t really stress this enough. I’ve put in over 35 hours in Mario Odyssey and there are still a bunch of moons to get. I’ve already gotten all of the S ranks in Sonic Forces and around half of the Red Rings in a third of the time or potentially even less than that. It’s just not an equal ball game when you’re looking at the content. It’s not as if being long makes you an automatically better game, but when you’re a solid game that also happens to be long, then it’s a winning combo. It’s even more lethal to the short game when it’s only around 3 hours long. Mario Odyssey will likely last close to 50 hours by the time all of the Moons have been obtained which is definitely very impressive. It’s also less repetitive than getting everything in Forces since in that game you have to keep replaying the same levels over and over again. It doesn’t really get old since the levels are so well done and the soundtrack is so awesome, but it still feels like a shortcut by the devs. In Mario, you have a lot of variety among the worlds for finding Moons so it never becomes a big issue of repetition. I can only hit this point for so long though so this editorial is coming to a close. So when it all boils down to the center of the game, Odyssey is simply better. Sonic Forces may sound better than Odyssey but that’s not the issue. It may be more fun to play as Avatar and Modern Sonic as their gameplay modes both destroy Odyssey’s but that’s also not the point. Odyssey has the slightly better graphics. You have to forget about the plot and the technical aspects and just look at the replay value. Mario’s the longer game and you really feel like you’ve spent your money’s worth there. 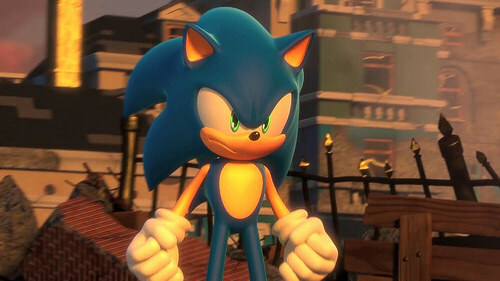 I don’t regret buying Sonic Forces since it was still an incredible game, but I certainly can’t reward the developers with the same stamp of approval that I can give Odyssey since they really didn’t give it enough effort. So, Sonic Forces is the more enjoyable game, but Mario Odyssey is the better game and actually managed to defeat Sonic this time around. It may seem like Mario only won in one area (length) while Forces had the advantage just about everywhere else, but it’s a very important advantage and one that you can’t overlook. It’s shocking for Sonic to lose and and I have to keep asking myself if this is really the answer since this basically never happens and I’m a little worried, but 3D Sonic shall return. You can tell how confident his fans are because even if you google things like “Mario beating Sonic” you get more pictures of the reverse happening which made the images for this article a little difficult. It is quite fitting though that the time Mario finally manages to beat Sonic, it’s because they quickly went through their old Adventure 2 Battle memories and thought to do a Mario version. Food for thought! Right now the vast majority of gamers seem to think Mario Odyssey will not only defeat Sonic Forces, but that it could be the best game of the year. I’m a pretty big fan of the Super Mario series as well and think Odyssey looks great, but I think we’re counting out Sonic Forces a little too soon. In fact, I think it’s going to beat Mario Odyssey rather easily and by the time you finish reading this article, you’ll think so as well. 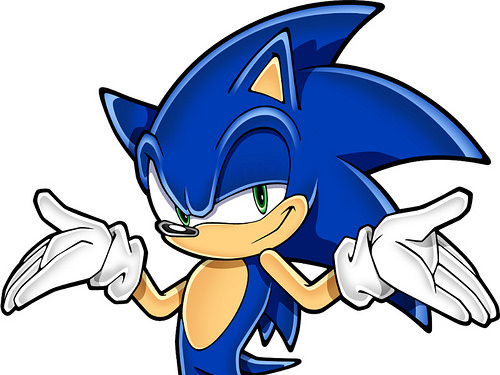 I’m going to tackle every aspect of both games and show you point by point why Sonic wins. For some background for those who are unaware, both games are coming out later this year and supposedly it may be within a week of each other. Odyssey is getting a lot of hype because it’s quite possibly the most ambitious Mario game since 64. 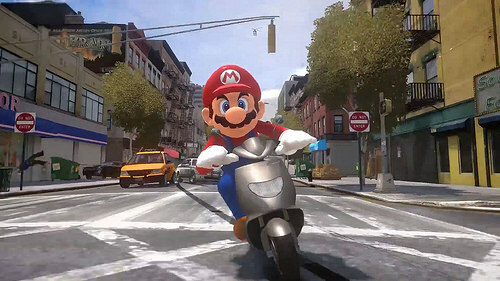 It’s going to have a bunch of new features and Mario will finally be in a cool city setting. Sonic Forces is getting a lot of hype because we are finally in the pre Sonic Colors days with the epic plots and old characters returning. With the background out of the way, lets dive into this breakdown. This one’s pretty obvious. Sonic Forces destroys Odyssey here as we have a new villain called Infinite who has assembled all of the greatest Sonic villains from the previous games. Chaos, Metal Sonic, Shadow, etc. They’re back to rain some terror on the heroes. Sonic’s going to have to team up with Silver, Classic Sonic, and many more to hope to combat him. I’ve seen the trailer over 20 times by now and it just never gets old. This has the potential to be one of the greatest Sonic stories of all time and it feels like the big climax of the Adventure series. Odyssey is busy with the classic Peach getting kidnapped scenario. I honestly don’t see much else happening in the game. Maybe DK will show up or something but my hopes are honestly very low. I dare Nintendo to raise the bar and prove me wrong. Imagine a Mario game where a new villain brings in Bowser, King Boo, Geno, Shadow Mario, and other big Mario opponents. That would be pretty awesome. This one is probably going to be the most controversial. 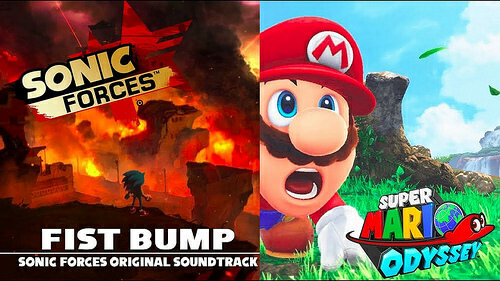 Granted, Mario games always have killer soundtracks and I’m sure this one will be really solid as well. When the main theme for the game came out, it really took over the internet. 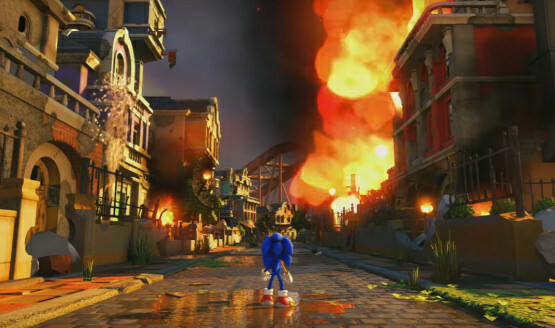 Then Sonic Forces brought out the Infinite theme and completely blasted any trace of Odyssey off the map. The difference in sound level is just uncanny. This is just the tip of the iceberg as well and considering all of the intense levels in Sonic Forces, the overall soundtrack is going to be miles apart. Odyssey’s themes are soothing, Forces themes are epic. This one is also pretty close. Mario Odyssey is clearly going to look good. The level environments are really solid and the trailer looks sharp. 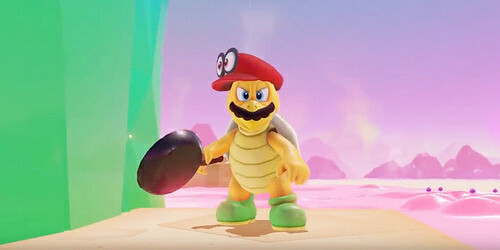 It’s the Mario game that we’ve been waiting for and they spared no expense. What hurts the game a little is that it can’t make use of its graphics because there are no cool villains or powerful energy effects to show off. Forces already has some really cool levels and designs. The animation really gets to shine here and it also helps that its on the PS4. This is another area where Forces wins and sure, graphics don’t matter too much when you’re already at this level but every bit certainly helps. All right, here’s an area where Mario actually wins. 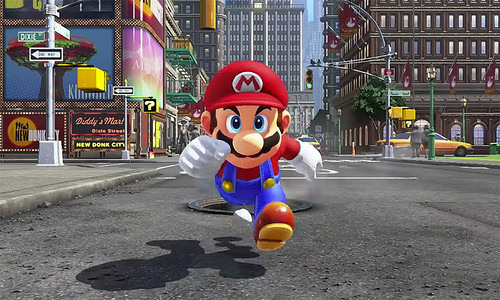 While the actual campaign lengths will likely be similar, Mario has always exceled in its replay value. It’s almost undeniable that Odyssey will give you more bang for your buck. Collecting everything and unlocking all of the bonuses in Odyssey will take time. You’ll also probably just have fun exploring the vast hub world and I can see this being a game that you play for weeks and weeks. That’s not to say that Sonic Forces is short. Grabbing all of the trophies will likely be difficult and time consuming as well. That being said, unless there is a local multiplayer that is on par with Sonic Adventure 2 Battle, I don’t see it beating Odyssey. It’ll have to hold a loss here. Okay, the Mario picture isn’t from the actual game, but if it was real then this whole paragraph would probably be wrong. After all riding a motorcycle would be amazing. We’ve come to the biggest and most important part of the game now. The gameplay. So, Odyssey’s gameplay is tried and true. It’s going to be incredibly smooth with so many playtesters that I expect there will be very few glitches if any. The jumping on the hat gimmick does look like it’ll slow the game down somewhat, but I have a feeling that it’ll be more fun than it looks. Sonic Forces meanwhile is back to the super fast Sonic gameplay that I’ve missed with the slower classic levels to give you a change of pace. There are also the custom levels which will work like Sonic Boom. While the latter may not help the game, the modern Sonic levels are sure to be some of the most fun ones yet. I’m afraid that there really isn’t much Mario can do to combat it. I love moving at a quick speed and it’s like how I prefer rushdown tactics in Super Smash. Just keep the action coming and I’ll let my reaction times handle the rest. I’ve said this a few times, but the point still stands. Mario will be peaceful and calming which is awesome in its own right, but Sonic Forces will be exhilarating and action packed throughout. The gameplay will really get your adrenaline pumping. Both games have some gimmicks. 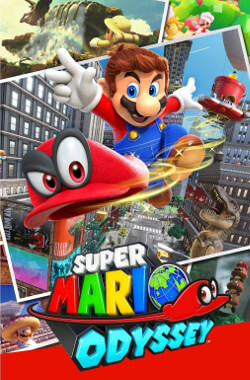 Mario’s will be the constant transforming and throwing the hat around. For Forces, it’s the Deviant art character you’ll be creating as you swing around. In this case, I think Odyssey probably has the edge. From what I’ve seen of the original character, his levels look all right, but I just don’t think they add anything to the game. The transformations in Odyssey actually look really fun though. While everyone is looking forward to turning into a dinosaur, I personally can’t wait for the Bullet Bill. Being able to fly and being almost indestructible? Count me in! I’m sure they’ll do something to balance the game or else you could cheese a bunch of levels, but the game will likely do it in a balanced/organic way where you can still have a blast. Just please give me a flying transformation in the hub world, flying through New Donk City will be a blast! VERDICT Sonic Forces wins. I never like ties so you can certainly bet that I wasn’t going to be half hearted here to close out the editorial. As the title clearly states, I think Sonic Forces is going to be the better game than Odyssey. Furthermore, I don’t think it’s going to be all that close. At the same time, I do think both games will be a lot of fun. Honestly I may even give both games a 9/10. The main difference is that I’m going to be super invested in Sonic Forces. A good plot really does go a long way and since Forces should also have the edge in gameplay, that’s just Game Set and Match. I’ll be picking up Sonic Forces Day 1 while I can’t guarantee the same for Odyssey. After all, I still don’t even own a Switch. 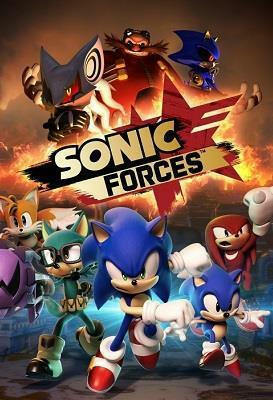 Sonic Forces is the game that I’ve been looking forward to for years. Adventure 2 Battle is still the best with Sonic 2006 being second, but I could definitely see this game being 3rd. Even if it loses to Shadow and only gets 4th, that will still be really impressive. I’m hoping it sells well so we can get more games like this one. It’s definitely Game of the Year material. The fact that Mario Odyssey could beat it in some areas is impressive though and the game should take solace in that fact. It just can’t help overcome one big thing. 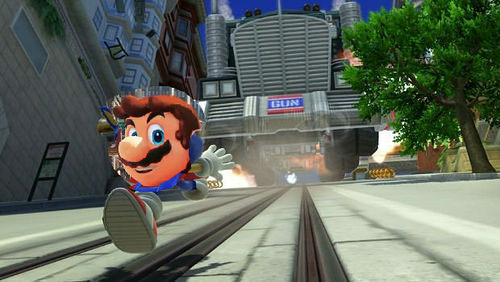 At the end of the day…Sonic is just cooler than Mario.